Used Car Lease Deals - 7 Secrets How To Negotiate! In most cases, a short term car lease is great for business purposes or those that want a dependable ride for a temporary period. If you decide this is the best route for you here are seven ways to negotiate so you can receive the best used car lease deals. 1. The first tip for you is to comparison shop. Often times if you are in talks with several dealers for the same car they may make concessions which include reducing the down payment. 2. By doing comparison shopping, you can also locate the best current specials. Many manufacturers offer special incentives during seasons, so by researching say Mercedes lease deals, you can find which dealers are offering special prices. 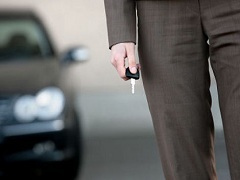 Often times by doing this you can find the best car lease deals no money down as dealers want to move inventory. Additionally, many dealers have websites that include tools like a car lease calculator, which can help buyers determine what their monthly payments may be. 3. Along with shopping, understanding the value of the used car you are interested in can help. By researching the car’s worth on Kelly Blue Book you arm yourself with information you can use to get a better deal. If the dealer is charging more than the retail price you can use this information to negotiate a better price on the car, thereby giving you a better lease. 4. Another way you can receive the best used car lease deals is by researching your vehicle’s resale value. By choosing a car with a good resale value you can keep your lease costs down. 5. If you have a great credit score, you can use it to your advantage. As the terms of your lease such as down and monthly payments are determined by your credit score, having great credit can give you more power when negotiating lease terms. 6. If you are trading in your car, make sure you know the value of it before signing your new lease. By knowing the value of your trade it can help you establish better terms for your lease, especially if your trade in vehicle has a high resell value. 7. Lastly, you can receive the best used car lease deals by understanding all the terms in your contract and making sure they match your intended uses. One item in particular to look for is the mileage restrictions. If you don’t think you can meet them ask for more miles. You may have to pay a little more for them, but it’s much more cost-effective than paying excessive mileage fees at the end of the lease.